December Solesky, a fourth-grade student at Cordley Elementary School, scans the ballot for the Boys & Girls Club's Kansas Kids Vote activity on Tuesday, Nov. 6, 2018. Even though their votes didn’t count, hundreds of Lawrence elementary students were making their voices heard on Election Day. 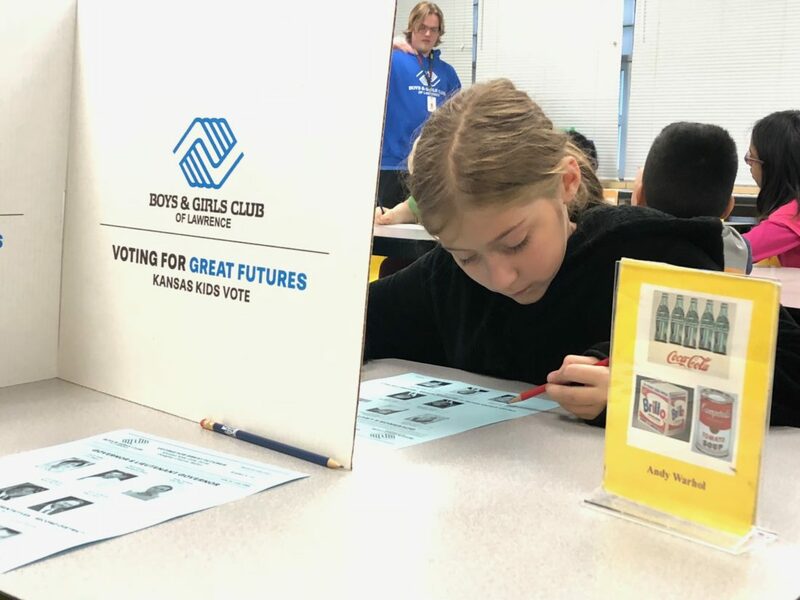 The members of the Boys & Girls Club of Lawrence at local elementary schools cast mock ballots on Tuesday to participate in the Kansas Kids Vote activity and learn more about democracy. Prior to the election, the Boys & Girls Club educated the student members on voting with various activities and lessons. Additionally, members from the middle and high schools cast mock ballots at the club’s teen facility, the Don & Beverly Gardner Center for Great Futures. Those students also cast their vote in their own club elections, selecting representatives for their teen council. 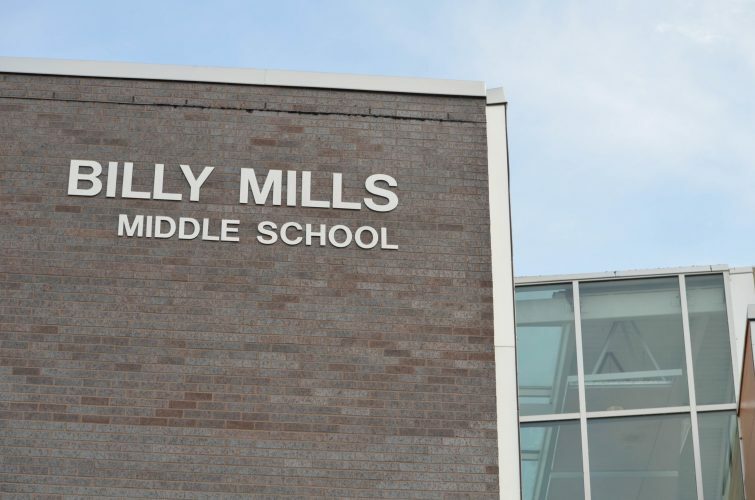 Ruby Yother, a fifth-grade student at Cordley Elementary School, said she was excited to vote for Paul Davis, a Lawrence Democrat running in the 2nd Congressional District. She said she wants to vote for him because her family supports him. But she has an issue with how he’s been portrayed on television lately. Davis was popular among the elementary crowd. He received 768 votes, while Republican Steve Watkins and Libertarian Kelly Standley received 555 and 283 votes, respectively. 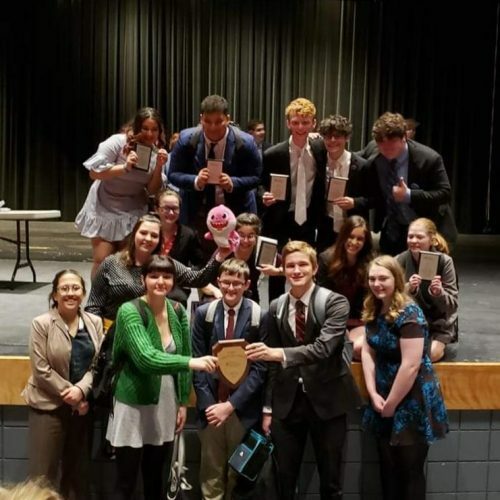 The kids also selected Lawrence Democrats Marci Francisco for state treasurer and Brian McClendon for secretary of state. 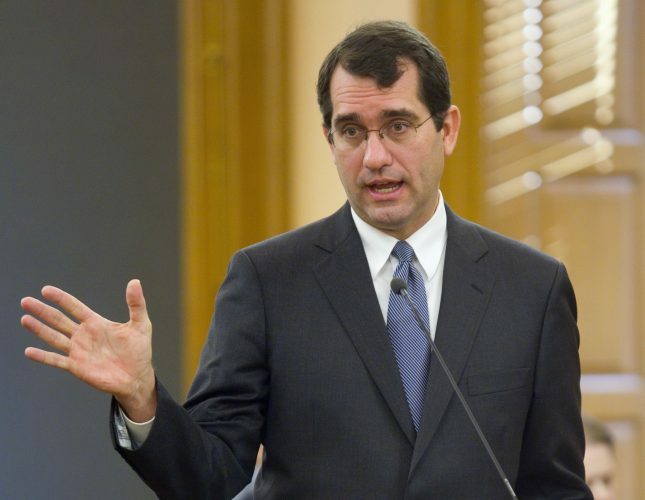 In the governor’s race, they chose Democrat Laura Kelly over Republican Kris Kobach and independent Greg Orman. Ruby Yother, right, a fifth-grade student at Cordley Elementary School, accepts an “I Voted” sticker from a volunteer after placing her ballot in the ballot box. The Boys & Girls Club of Lawrence holds a Kansas Kids Vote to help teach its members about being responsible citizens. Yother said she thinks the Kids Vote activity is a good introduction to the democratic process. “I think it’s a good way to learn how to do it,” she said. Cordley fourth-grade student Galen Dewhirst said he’s learned a lot from voting in previous Kids Vote elections — in fact, he said he’s ready for the real thing now. “I’ve done it so many times, I already know how it works,” he said. Although his vote doesn’t count in the real election, he said he was excited to vote for Davis, as well. 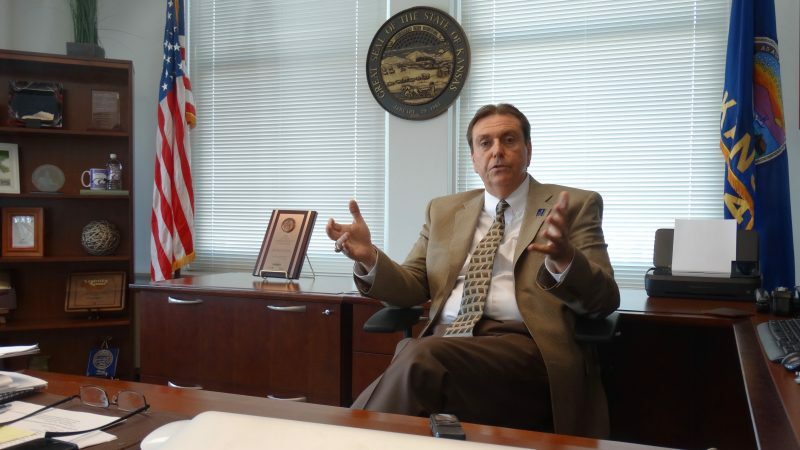 “I just think he’s a really nice person and he’ll make very good choices,” he said. 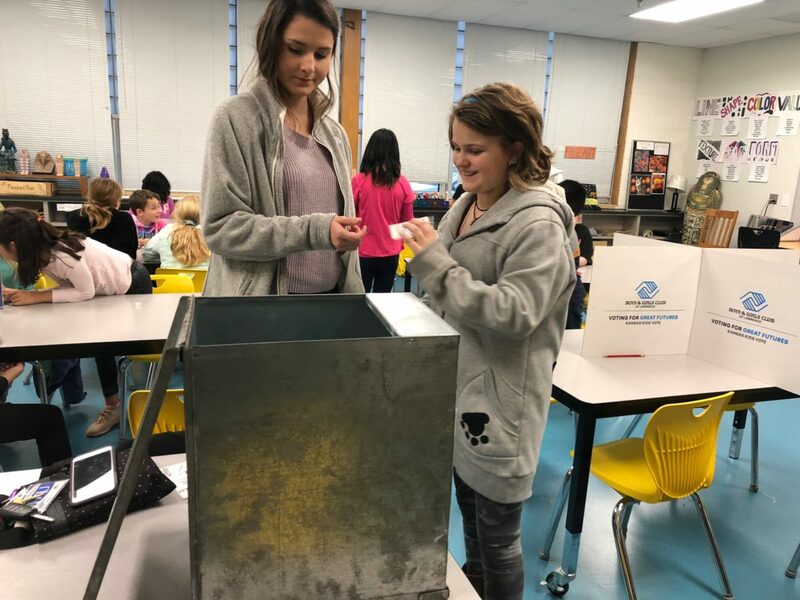 August Swanson, Boys & Girls Club site coordinator for Cordley Elementary, said the Kids Vote elections fall in line with the organization’s core values, including being a responsible citizen. 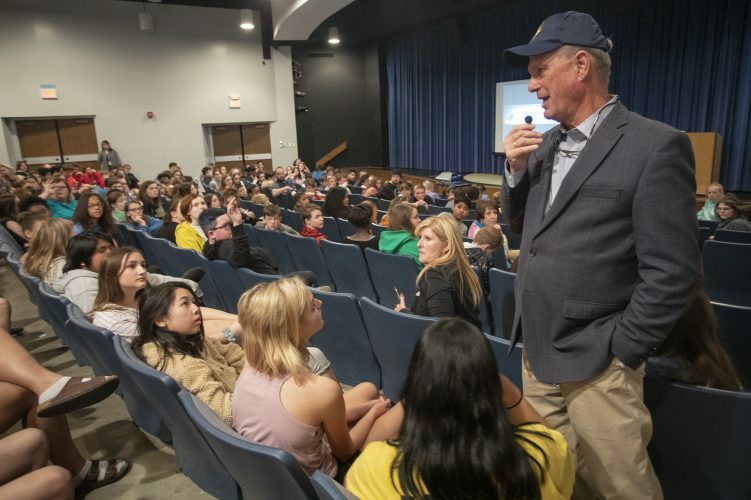 “We’re introducing them to the concept of voting and what the process looks like, in hopes of when they turn 18, they know what to expect and carry on as responsible citizens,” he said.